Transplanting landscape shrubs can be a gardener's nightmare. Unlike nursery stock with confined roots, shrubs established in the landscape are difficult to move because their roots are both deep and widespread. 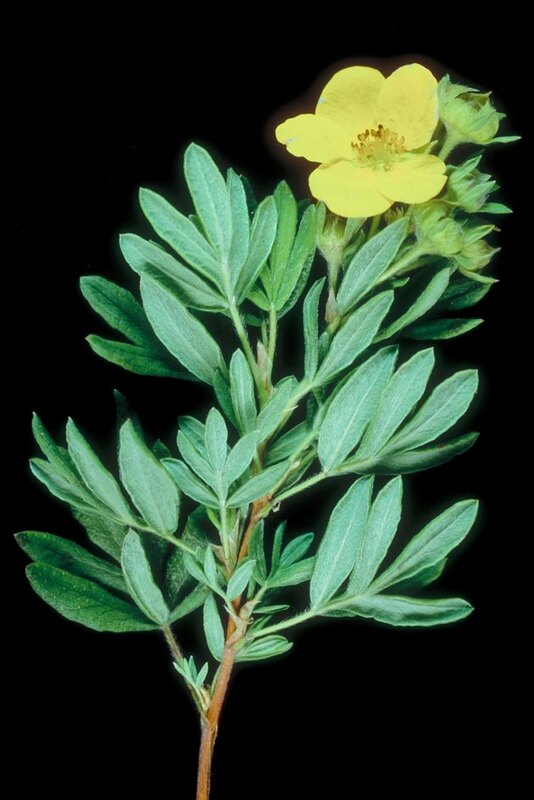 Fortunately, potentilla, or cinquefoil, is fairly easy to transplant successfully because its roots are thin, woody and usually fairly shallow. Also known as shrubby or bush cinquefoil, potentilla (Potentilla fruticosa or Dasiphora floribunda) is a deciduous perennial shrub. Most cultivars are small, standing between two and four feet tall, and flower all summer long. Plants are tough, thriving into Zone 2. They can regenerate themselves by sprouting from the root crown. Most potentillas have yellow flowers, but some have white or pink blooms. Select a suitable transplant site -- ideally a location in full sun with afternoon sun, to protect summer bloom color. Potentilla needs well-drained soil but otherwise is not fussy. Spread two inches of rich compost and thoroughly cultivate the soil. Several days before transplanting, thoroughly water the entire potentilla root area. Shrubs should be completely hydrated before transplanting. Mark one side of the trunk so you'll remember the plant's original orientation to the sun when replanting it. This can help prevent sunscald injury. Dig all around the shrub using the spade -- severing all roots -- and down to at least 14 or 15 inches to get underneath major roots. Carefully lift the root ball and wrap it with wet burlap. Dig the new planting hole two to three times wider than the root ball but the same depth. Make clean cuts on any damaged roots, and sever any circling or kinked roots to prevent girdling. Orient the potentilla correctly to the sun. Backfill the hole and immediately water the entire planting site thoroughly. Make sure the soil remains moist. In the absence of regular rains, water deeply every 10 to 14 days, or whenever the soil is dry three to four inches down. Mulch with two to three inches of shredded leaves or four to five inches of pine straw to conserve moisture, maintain even soil temperature and deter weeds. Keep all mulch at least three to four inches away from woody trunk stems. What Is the Root Base of a Queen Palm Tree?